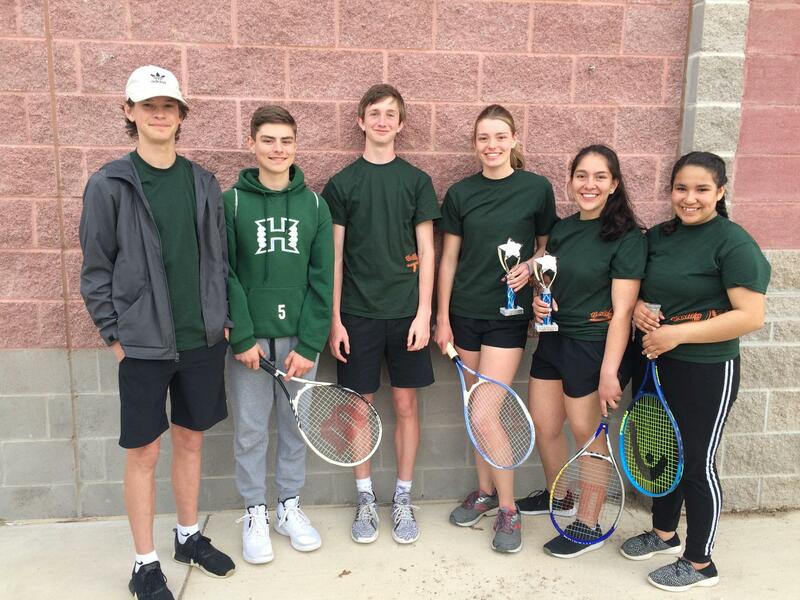 The Hartley HS Tennis team played at the Amarillo Rebel Tennis Center again on Thursday, March 28. Once again, they were very successful, bringing home 3 awards. 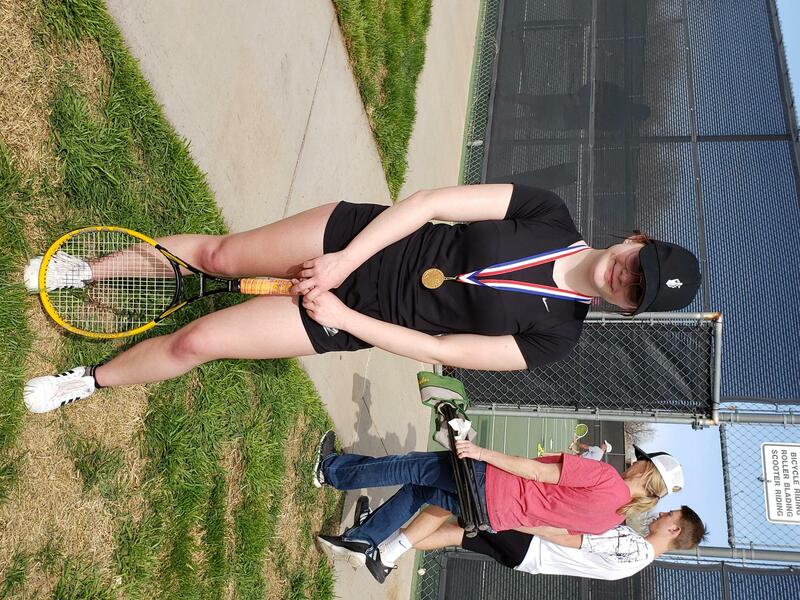 Melissa Mize played in the A Division Girls Singles. After a bye in the first round, she solidly beat her Dumas opponent 8-0. 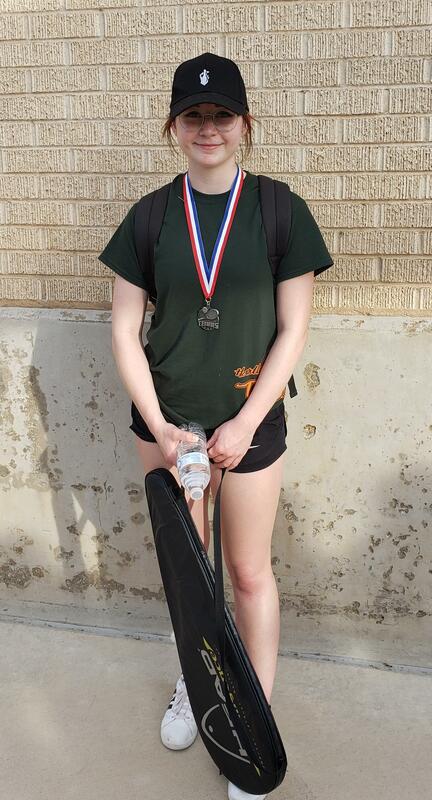 A hard-fought battle with Jewll Starrett from Randall ended in a 6-8 loss, but Mize recovered in her last match against Renee Mader, San Jacinto, and won 8-5 for a 3rd place finish. 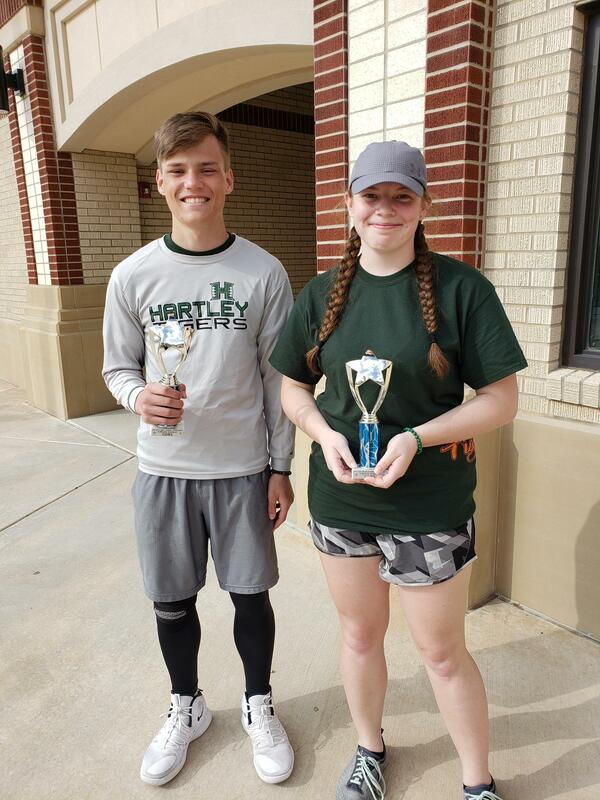 Junior Alondra Soto gave Bailey Squires from Claude a difficult time, losing 4-8, while Squires finished the tournament in 1st place. 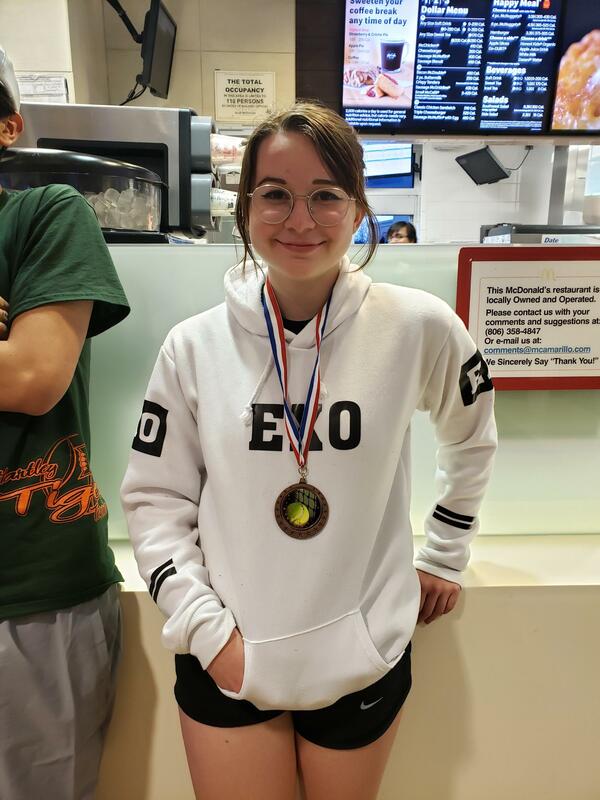 Alondra continued against Aleah Kirby from Perryton and won with a solid 8-0. Her final match ended with a close 6-8 finish against Ali Mabry from Randall. 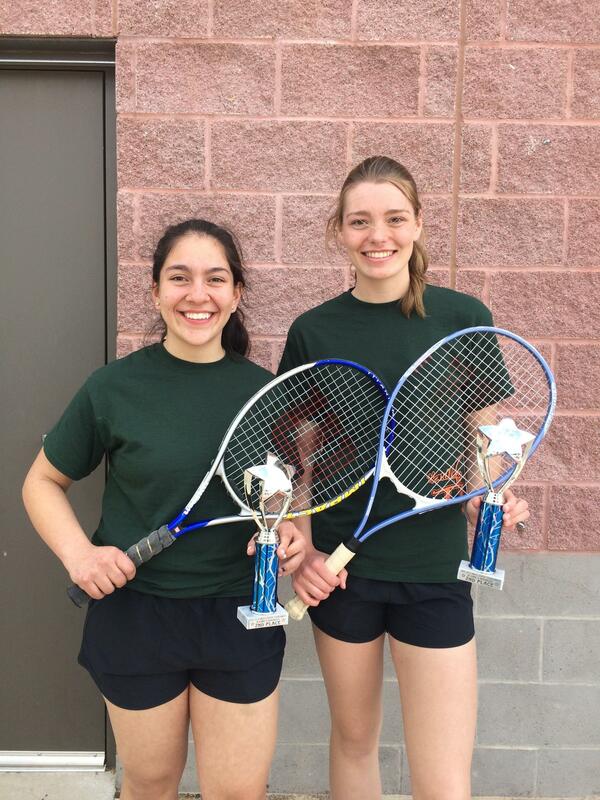 Jordan Smulders and Elva Soto entered in the B-Division Girls Doubles. 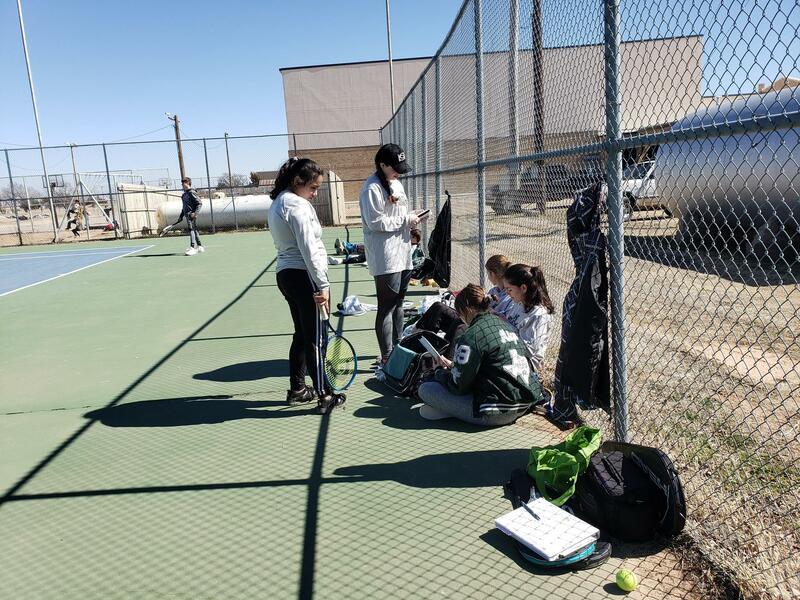 In the first round they beat Cenicerso/Olivas from Perryton 8-3. 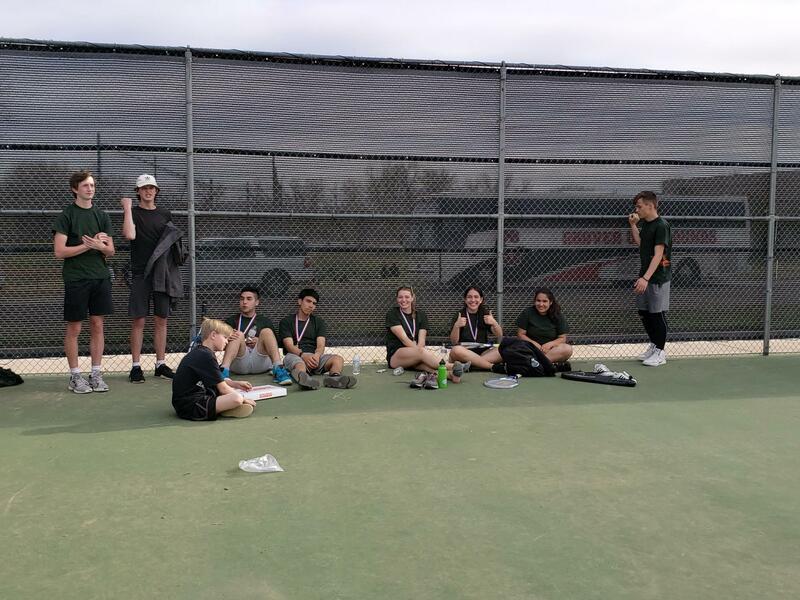 The second round ended wit-h a win against Meh/Wah from Palo Duro at 8-6, but they fell to Tyson/Newman from San Jacinto 5-8 and ended in 4th place. 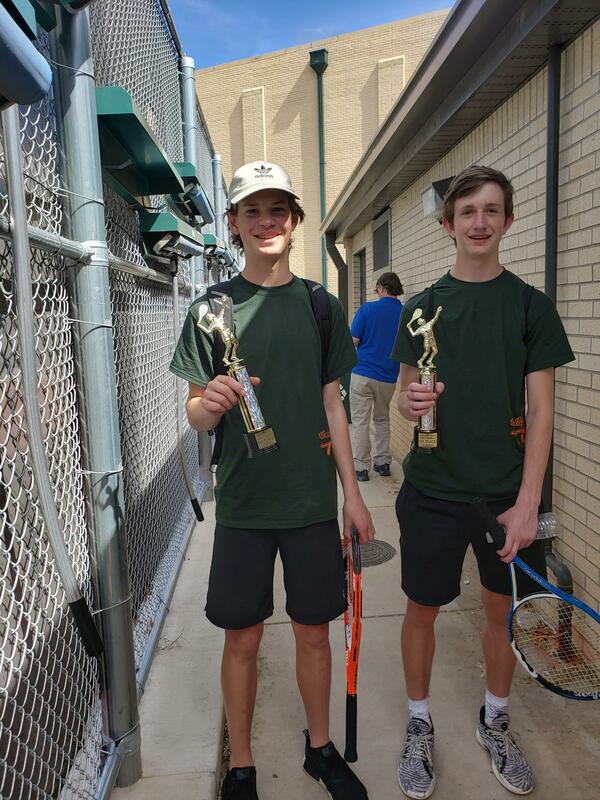 The Aiden Weber and Luke Smulders were entered in the largest bracket of the tournament in the B-Division boys singles. Aiden Weber won against Ben James with a score of 8-5. The next round ended with a loss of 1-8 against Isaiah Smith in a very hard fought match. Luke Smulders drew a tough opponent in the first round against Manuel Granillo from Perryton, but held his ground nearly to the end for a 6-8 loss. He then faced Travis Lowrey from Claude, who, in the previous game, lost in a tie break to the 2nd place finalist and Luke finished 2-8. 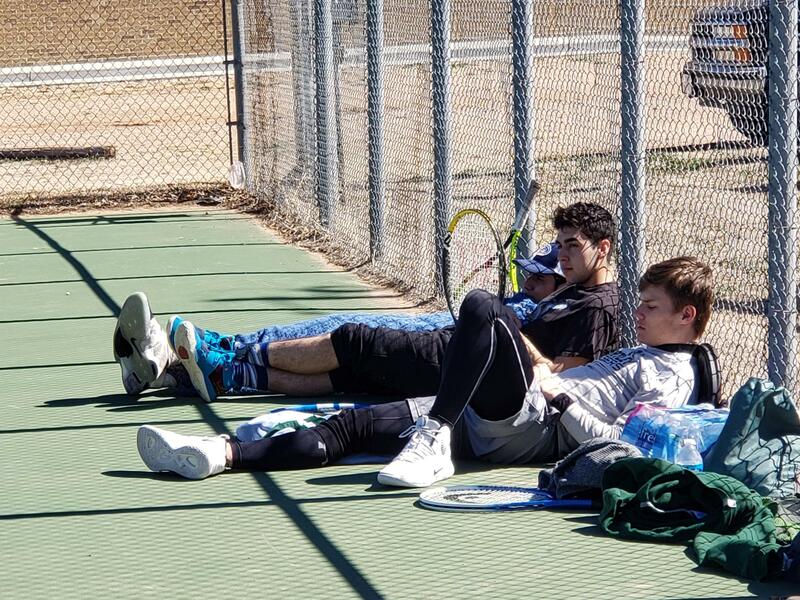 In the A-Division Boys Doubles, Edgar Chavira and Enrique Martinez played their first round against Baker/Jaramillo for San Jacinto. This is the same double they faced the week before and lost. This time Chavira/Martinez pulled off a victory in the tie-break to end the match 9-7. 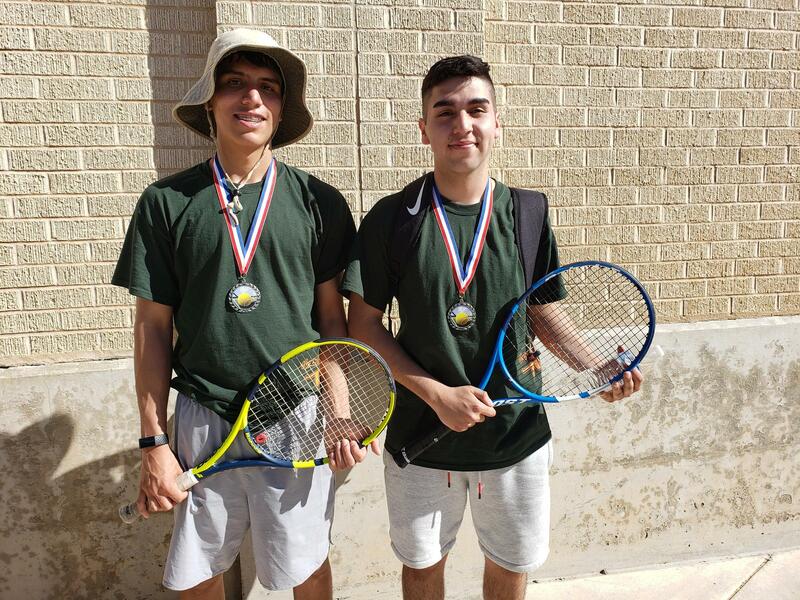 After a loss to Hodge/Zuniga from Randall (who ended up winning the tournament) they earned a win against Alarid/Moore from Dalhart to win 3rd Place. 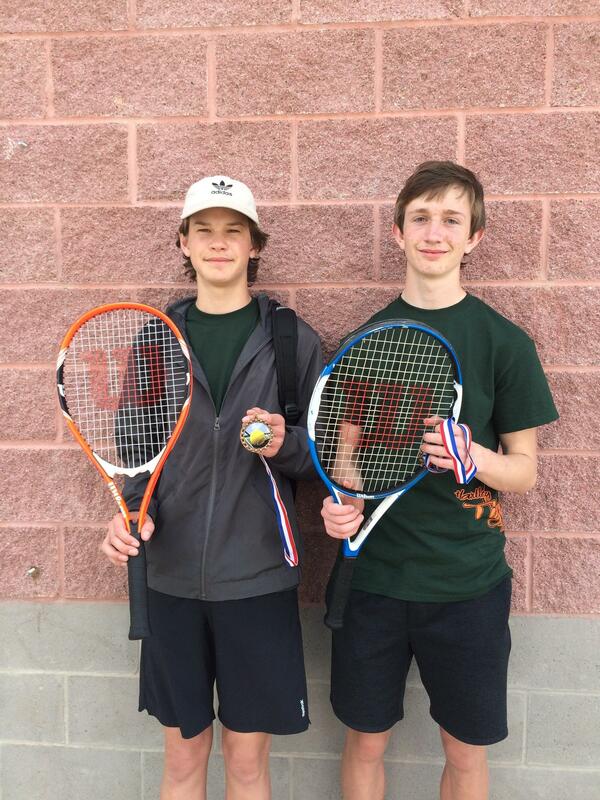 Jacob Drew and Kholten Ellis tested themselves in the B-Division of the boys doubles. After a solid win against Smith/Craft from Claude (who won 3rd place) with a score of 8-2, they faced Galvan/Arrellano from Randall. A difficult match was played and Drew/Ellis were victorious in a 9-7 tie-break. In their last match against Marquez/Billenwillems from Perryton they ended the 2-out-of 3 scoring with a 6-4, 6-1 win for the 1st place in the tournament.